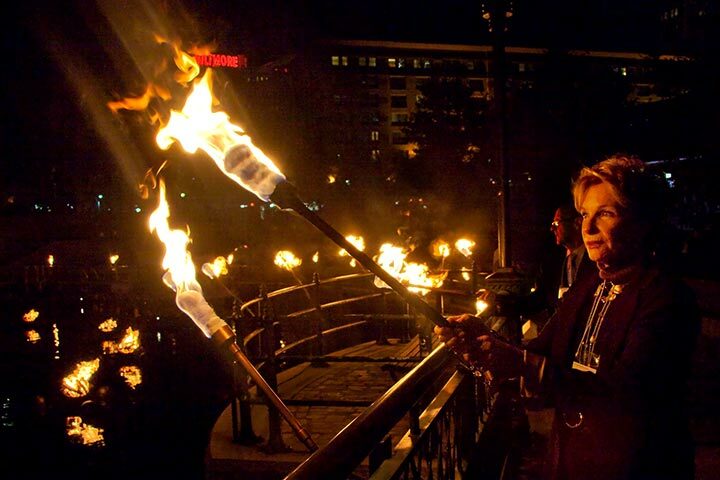 We received very sad news this week about the passing of longtime WaterFire Providence board member Alice Boss-Altman. Alice was one of WaterFire Providence’s most tireless advocates who worked behind the scenes to advance our cause and introduce us to new supporters in the community. Alice and her husband Sandy were the first hosts of a Playing with Fire reception in 2014 where we announced the plans for the project that would become the WaterFire Arts Center to her friends and many community stakeholders. Alice Boss-Altman participating in the lighting ceremony at a fundraiser in 2009. Photograph by Drew Christhilf. Alice Boss-Altman with Barnaby Evans and Peter Mello at a fundraiser for WaterFire Providence in 2011. Photographs by John Nickerson. 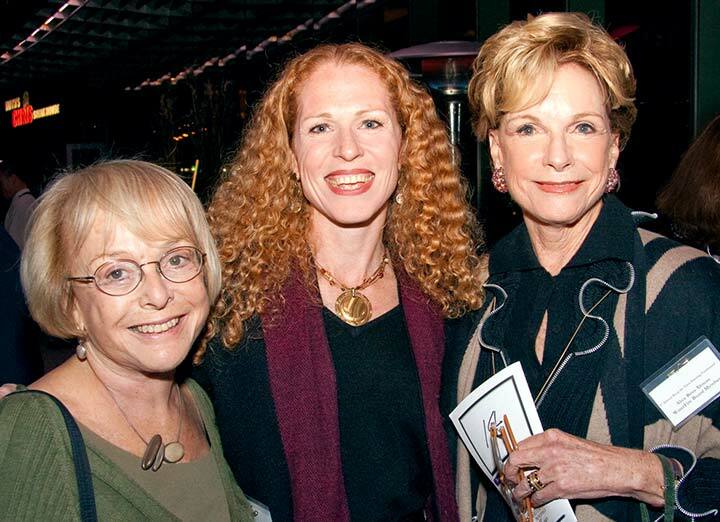 Joan Slafsky (at left) with Bronwyn Dannenfelser and Alice Boss-Altman during a WaterFire event in 2010. Photograph by Drew Christhilf. Visitation will be held at Jones-Walton-Sheridan Funeral Home, 1895 Broad St., Cranston, on Thursday, April 11, 2019, from 3-7 pm. The Mass of Christian Burial will be held on Friday, April 12, 2019, at 10 am at Saint Sebastian Catholic Church, 67 Cole Ave., Providence, Rhode Island. In lieu of flowers, donations in Alice’s memory may be made to The Met High School, Philip Hulitar Hospice or WaterFire Providence. Alice was an extraordinary person who will be missed by many.